In an earlier post this year, Marley Morris and myself were writing about the importance of conspiracy theories in populist discourses and ideologies based on the French, Hungarian and Slovakian cases. This post will focus instead on the extremist threat of conspiracy theories. Conspiracy theories are present in practically every violent intergroup conflict. And these theories are not just following violent events – they are driving them. The Russian official ideology and Kremlin-close media has been spreading conspiracy theories for years to justify the regime’s anti-western stance and give justification for the nationalist, expansionist goals of the Kremlin. The Middle East has always been and is a fertile ground for conspiracy theories – even the most ludicrous ones such as that Israel is distributing libido-increasing chewing gum in the Strip. At the heart of the ideology of the Islamic State we come across a theory that a part of the Muslim clergy is secretly conspiring with the West, plotting for the Crusaders to invade the Muslim World – and IS’s ‘defensive jihad’ is the only tool to prevent this epidemic of Westernization. Conspiracy theories are extremely helpful for leaders provoking violent conflicts. They simplify the world, victimise the ingroup, diabolise the enemy, and give justification for violence against the outgroups, calling for “apocalyptic aggression”: “if we don’t defend ourselves today, they will destroy us tomorrow”. This is a common feature of many different conspiracy theories: our research in Hungary on conspiracy theories clearly showed that the more people believe in a World Jewish Conspiracy (e.g. “the Jews want to rule the World”), the more they find violence against the Jews justifiable. As we have seen several times throughout history, some conspiracy theories can catalyse violence – they are “radicalising multipliers”. The following quote by Anders Behring Breivik, who committed the terrorist attack in Norway, sadly illustrates this principle: “Multiculturalism (cultural Marxism/political correctness), as you might know, is the root cause of the ongoing Islamisation of Europe which has resulted in the ongoing Islamic colonisation of Europe through demographic warfare (facilitated by our own leaders)”. This theory justified Breivik’s mass murder in Utoya, the summer camp of the “cultural marxists”. Conspiracy-based ideologies can make highly immoral acts look like acts of heroism. The more extreme an ideology is, the more extensive and dangerous the conspiracies it envisages. If they are so dangerous, how can they be undermined? This might be a central question in any attempt to come up with efficient counter-narratives against radical ideologies. Conspiracy theories, even the more innocent ones, are hard to refute: how can you prove that an alleged secret plot does not exist? If you are the government and claim this – it can be used as proof that the conspiracy is real. If the media claims it doesn’t exist – this is because the media is part of the conspiracy. The same stands for experts and scientists, who can also easily be regarded as servants of the conspiracy. If there is no proof for the theory, this is because the plot is so efficient that it acts invisibly. 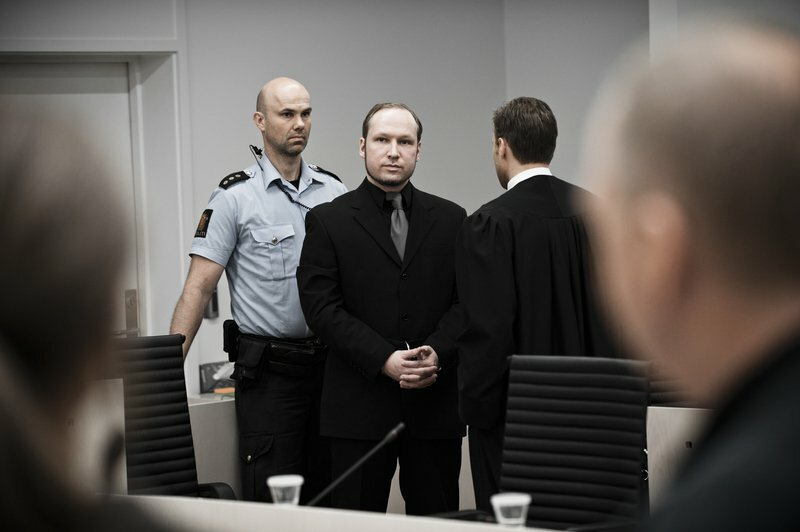 Norwegian terrorist and right wing extremist Anders Behring Breivik appears in court during his trial. Demotix/Alexander Widding. All rights reserved. Conspiracy theories have a self-defensive nature that makes them extremely difficult to refute and resistant to facts. A British study found, for example, that advocates of Osama Bin Laden conspiracy theories tended to agree at one and the same time that Osama Bin Laden was still alive and that he had already been found dead – simply because both stories contradicted the official narrative that he was shot down by American soldiers. A typical response to “what to do?” is: “Develop critical thinking skills!” But this principle might be simplifying and misleading. Conspiracy theorists and believers regard themselves as critical, skeptical thinkers, who question the “official” narratives of the “brainwashing” media, science, and mainstream society. In their eyes, the non-believers of conspiracy theories are just conformists, sheep in a herd. They regard themselves as champions of critical thinking. And in some cases, they really are, when they go against the mainstream. 1) Ridicule instead of diabolize. Conspiracy theories’ statements can be more easily ridiculed, than refuted in a logical way. Simply labelling a theory a “conspiracy theory” can be helpful for hesitant believers, but definitely not for strong believers. This strategy should be used cautiously however: ridiculing religious views for example, can easily backfire. 2) Target relevant conspiracy theories and ignore the rest. Some conspiracy theories (such as the Jewish World Conspiracies) can be pretty widespread in some communities. Given their attractiveness, simply downplaying them as nonsense and not talking about them clearly does not help the problem. Widespread conspiracy theories (however absurd they might be) deserve to be debated. However, the marginal, unknown ones do not deserve much attention. In their case, refutation means amplification. 3) Try to change perspectives. Products of outgroup-paranoia, conspiracy theories often exist in the form of mirror images. For examples, the Jews in Europe in the middle ages were targets of the same archaic conspiracy theories (blood libel, well-poisoning, etc.) as the Christians were in the first centuries of Christianity. Nowadays, similar fears exist in radical Muslim groups over Western/Jewish Occupation (of territories, governments, business, etc.) as in radical anti-Muslim groups in the West over Eurabia, Londonistan, etc: the Muslim takeover of the World. Highlighting these parallels might help to break down one-sided thinking. Conspiracy theories are extremely stubborn views that are hard to eliminate and may be easier to prevent. While overt simplicity helps conspiracy theorising and extremism, higher complexity in views and values can help reduce it.